Bitcoin derivatives trading platform BTC.sx has raised funding from Seedcoin Fund, Chief Operating Officer George Samman told Reuters Tuesday. 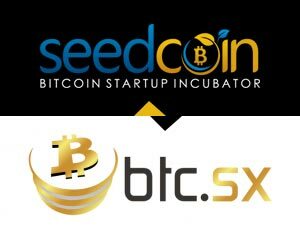 BTC.sx expects a total of $250,000 in funding, which is reported to be the largest investment to date made by Seedcoin, a start-up accelerator that provides investments to digital currency companies still in their early stages of growth. “This is part of the funding we’re trying to raise and we are very close to landing additional funding,” he added. According to the statement released by Seedcoin, its investment in BTC marks its sixth funding in a Bitcoin-related business. Previously funded companies include Cryptopay, CoinSimple, Hive, Zsim, and MexBT. With an initial investment of $150,000, BTC experienced a brief temporary suspension of its trading services on its platform due to the Mt. Gox mishap in February that led to the exchange’s filing for bankruptcy. Prior to the suspension, Tokyo- based Mt. Gox served as the Bitcoin exchange partner of BTC, with the platform’s Bitcoin derivatives relying on the firm’s prices. Samman said BTC resumed its trading services on March 10 and currently offers derivatives on the prices of BitStamp instead, a Slovenia-based Bitcoin exchange that now has the biggest trading volume, making it the largest firm in the world. Bitcoin Charts shows that BitStamp has 30-day US dollar volume amounting to $290 million, which is responsible for stirring the platform’s derivative volume to regain momentum since BTC resumed trading, Samman shared. “It has been picking up slightly. We’re nowhere near the volumes we have seen before the collapse of Mt. Gox,” he added, hinting that it could also be caused by the problem that presently hits Bitcoin in general. Since its launch in April 2013, BTC has already brokered over $44 million in Bitcoin derivative trades. However, the collapse of Mt. Gox resulted in the platform’s loss of the stored bitcoins, which it had failed to withdraw beforehand.